Penang, a turtle shaped island is an adorable place in Malaysia. It is often known by the locals as well as foreigners as “The Pearl of the Orient”. This place attracts by most of the tourists every year. Vibrant culture, rich heritage, multicultural society, high hills, nature parks, pristine beaches, shopping, cuisines and many more things make it a good place to visit. It is a right and worth visiting place. For enjoying the cool retreat and refreshing air, panoramic views of the island or the Georgetown city, Penang hill is the best location. It is located at an elevation of more than 2000 feet from the sea level. By taking 30-minute cable car ride up Penang Hill from the funicular station in Air Itam or trek up the hill via the Botanic Gardens make the journey more graceful. One can also take the route of jeep track. 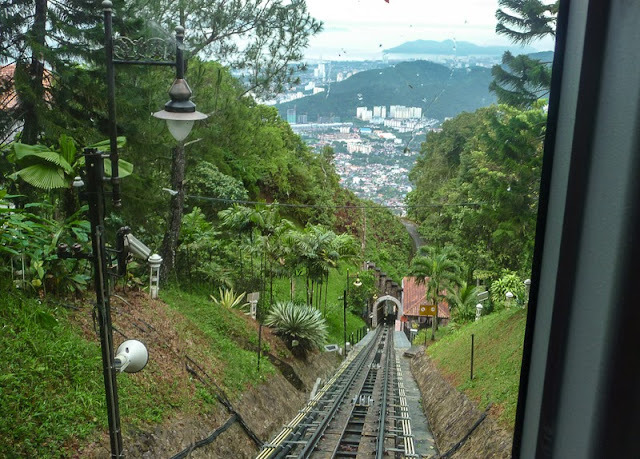 Penang hill comprising a group of peaks including Strawberry Hill, Halliburton’s Hill, Flagstaff Hill, Government Hill, Tiger Hill and Western Hill. It stands out apparently from the lowlands as a hilly forested area. It is a popular holiday retreat among the locals as well as tourists. Flowered landscape and a relaxing view of the hill allure anyone. Many unique flora can be seen there like the Cycad, the famous carnivorous Pitcher Plant, ferns, etc. Chirping birds around the forested hill makes the environs more crispy. Many restaurants and resorts are available there. Also, a mosque and a Hindu temple were built on the hill. 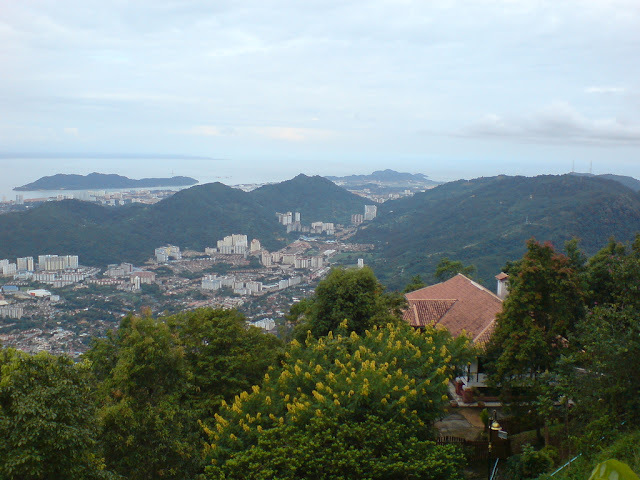 Diverse trekking trails from the various lowlands are there to reach the Penang Hill. So, the tour of Penang hill becomes an adventurous tour while taking this route. The famous pit stops at the hill are 52 and 84. At these pit stops, the view of the island is visible to hikers who are able to get some water and tea prepared by the locals stationed on the hill. 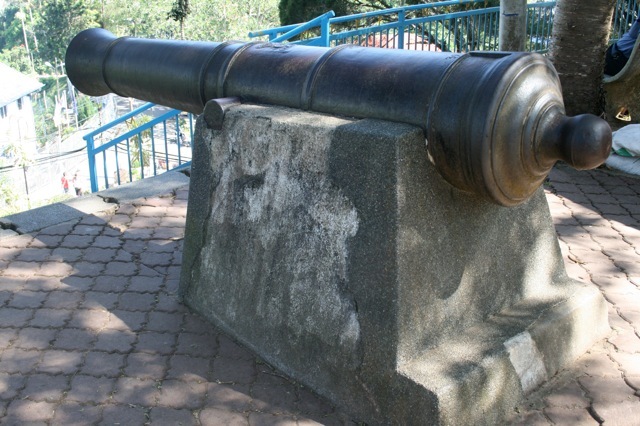 After reaching at the top of the hill, there is a 32 counder cannon having rich historical value. It weighs about 2.75 tons. The muzzle velocity of a gun powder charged by it is 1600 ft per second. It was most probably used in 18th and 19th century. Basically, it was used to warn the pirates present in or around the hills. From historical point of view, it is a good place as many bungalows highlighting a coalescence of architecture from British colonial to Asian and Modern architecture is available there. So Penang Hill is the place having all the characters of nature in one place. 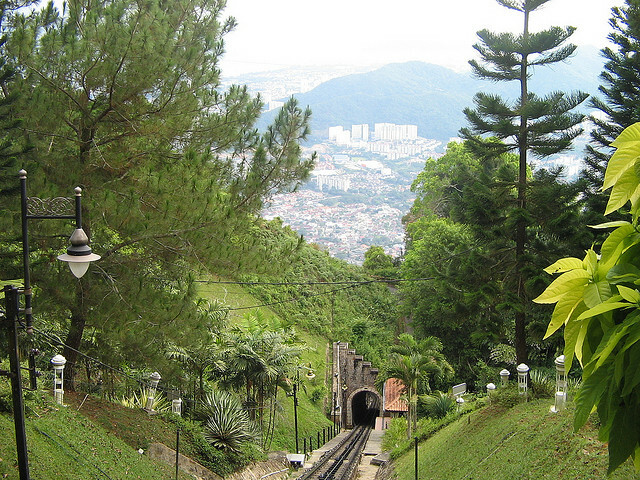 While visiting Penang Hill, one can also visit the famous Genting Highlands in Malaysia. 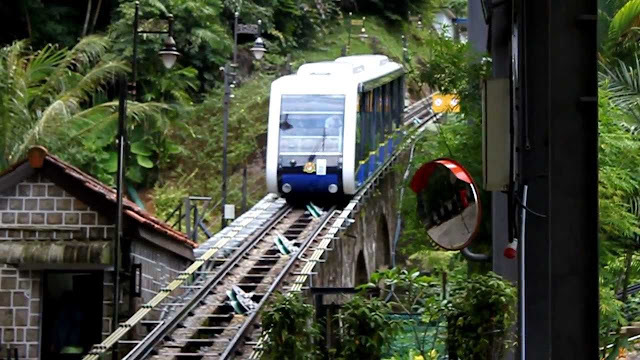 A combine tour of Penang Hill and Genting Highlands captivate anyone to this place for a long time due to their placid climate and nature. Wonderful post...I'm fascinated with this part of the world now after reading about Krakatoa! Hi! Nice captures. "The Pearl of The Orient." Nick nickname of this city. I am delighted with your very interesting post. I agree MH, I've been to Penang, fantastic holiday. looks like a beautiful, lush area. I'm inviting you to join us for Travel Photo Mondays, it runs the whole week starting on Mondays, come link up with us. That looks a super destination with something for everyone. Thanks for the tour! Beautiful scenic photos! Have a happy day! What a great tour! Lovely photos and breathtaking views! It does look like a grea place to visit! Beautiful photos of the hill...please be sure to add a link to ABC Wednesday, as per our regulations. Thanks. It looks so beautiful there. Such wonderful views, it looks like a great place. I love the photos, stunning. Nic place, I like that train too. you had me at plants, ferns and chirping birds!! what a beautiful place, i like that unique looking train as well!! Thanks for visiting my blog, you have an impressive blog. Will visit often. never been there but it loks nice. Simply beautiful place. Thanks for sharing these nice photos because I have never been to Peneng yet. Don't you have a photo about that huge cannon? Hi....I've just attached a photo that you requested....and thanks..keep visiting my blog and sharing your views. Thanks for your uploaded photo. Really huge cannon and seems it is still quite good conditions. Have a great day. Very beautiful photos and post for SWF!Have a nice weekend. One of the most attractive hill station in Malaysia. That is definitely one steep hill. An amazing place captured by your beautiful pictures. I'm so glad I joined this travel blogging group and now can enjoy these places through your camera. Looks so nice! And what a great view.